Jill Leigh is offering you the option to receive a Personalized Energy Clearing Meditation to help you clear the way for the life you want. Your personalized protocol is based on shifting from where you are now, to where you want to be. Working with the protocol hones your focus, and aligns your energy, intentions, beliefs, choices and actions. You'll start with a 30-minute phone consultation with Jill. During the call, she will help you identify your desired intention and clairvoyantly observe the energetic blocks that are keeping you from optimal manifestation. 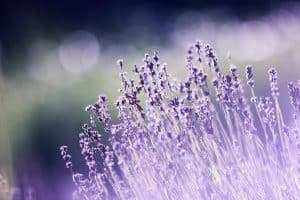 Using your intention and a blueprint of your energetic field, Jill will then create a customized clearing protocol for you, in the form of a recorded meditation. The meditation will assist you with applying your intention and turning it into reality. You will also receive a complete set of online skill modules to learn, practice and refine the active meditation work. This special offer is perfect for the person wanting to rid themselves of unhealthy thought patterns and course correct to a powerful path of manifestation. Whether for you or for another, this is the gift that literally keeps on giving. Let's get clearing and manifesting! Purchase the Personalized Clearing Meditation and be on your way to a more powerful life, designed and implemented by you! "I've worked with Jill in her private practice for several years and have used energy clearing skills and practices consistently to change my life. It's been an incredible experience to have a personalized protocol to support me in my evolution. Jill is kind, caring, fun and knowledgeable."